Les Brown, Sr. (March 14, 1912 ? January 24, 2001) and the Band of Renown are a big band that began in the big band era of the late 1930s and now performs under the direction of his son Les Brown, Jr. 'Les Brown and the Band of Renown' brought Doris Day into prominence with their recording of Sentimental Journey in 1945. The release of Sentimental Journey coincided with the end of WWII in Europe and was the homecoming theme for many veterans. They had nine other number-one hit songs, including I've Got My Love to Keep Me Warm. 'Les Brown and the Band of Renown' brought Doris Day into prominence with their recording of Sentimental Journey in 1945. The release of Sentimental Journey coincided with the end of WWII in Europe and was the homecoming theme for many veterans. They had nine other number-one hit songs, including I've Got My Love to Keep Me Warm. 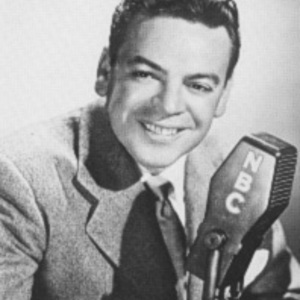 Les Brown and the Band of Renown performed with Bob Hope on radio, stage and TV for almost fifty years. They did 18 USO Tours for American troops around the world, and entertained over three million. Before the Super Bowls were televised, the Bob Hope Christmas Specials were the highest-rated programs in television history. Tony Bennett was "discovered" by Bob Hope and did his first public performance with Les and the Band. Les Brown and the Band were also the 'house band' for the Dean Martin Variety Show, which ran for ten seasons, and for the Steve Allen show. Les Brown and the Band of Renown performed with virtually every major performer of their time, including Frank Sinatra, Ella Fitzgerald and Nat "King" Cole. In 2001, Les Brown Jr. became the full-time leader of the Band of Renown. They continue to perform throughout the world and have a regular big band show in Branson, Mo. Les Brown Jr. also hosts a national radio show on the Music Of Your Life network. Les Jr. was a television actor in the 1960s (Gunsmoke, General Hospital, Gilligan's Island), a rock musician and producer who worked with Carlos Santana, and a concert promoter for many country music artists including Merle Haggard and Loretta Lynn. In 2004 Les Brown Jr. received the Ambassador of Patriotism award from the POW Network. Les Brown Sr. is interred in the Westwood Village Memorial Park Cemetery in Los Angeles, California.